Concrete grease interceptors remove fats, oils and grease (FOG) from the wastewater that flows from a restaurant or commercial kitchen. Many mu nicipalities require businesses that prepare food to have a grease interceptor. Cities routinely inspect these devices to ensure they are properly installed and maintained. Officials may cite a company that doesn’t comply with regulations regarding grease interceptors. Columbia Precast Products’ concrete grease interceptors are available in sizes ranging from 1000 to 7000 gallons. Our engineering team designs these devices to be durable, effective and compliant with codes in your city, whether your business is in Washington or Oregon. FOG can solidify, creating blockages that back up a sewer. The health hazards of a sewage overflow are evident, but gobs of grease can also lead to other difficulties. For example, if FOG remains in wastewater, it may migrate to treatment plants causing problems with the sanitary sewer system. 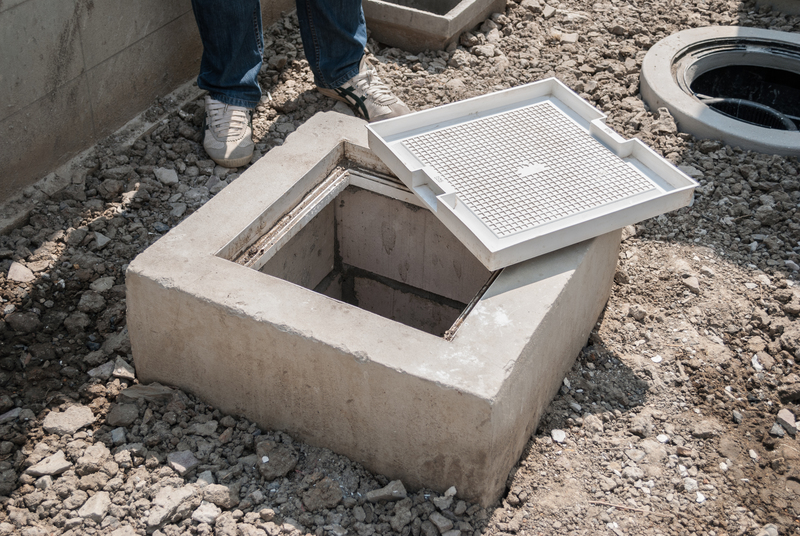 A well-designed grease interceptor keeps FOG from entering the sanitary sewer system. The interceptor separates FOG from water, storing the grease and debris until the tank is pumped. The bigger the capacity of a grease interceptor, the less frequently you’ll need to clean it out. 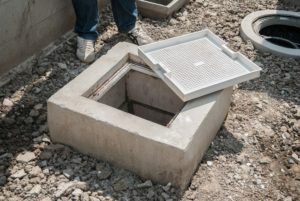 Interceptors are usually installed just outside a business in an area that’s easily accessible for inspection and cleaning. If you don’t maintain an interceptor, your business could get fined. We manufacture precast concrete products in our plant, where we control the quality and uniformity of the grease interceptors we make. Consistency: Quality control is a key benefit of all precast concrete products. Because we produce all our items in our plant, we can monitor the manufacturing conditions and climate, ensuring that each item meets high standards of performance. Strength: The load-carrying capacity of a precast concrete grease interceptor comes from its design. It doesn’t depend on surrounding material or structures. It is self-contained. The strength of precast concrete can support heavy surface loads, which means they are safe for installation under parking lots or driveways. Easy Installation: Precast concrete products are made in advance. Unlike onsite construction, weather and other variables won’t delay your project. Once you choose a grease interceptor, it can be quickly shipped and delivered. Green: Precast concrete is an environmentally safe material. It consists of natural ingredients, safe for both above- and below-ground use. The sealants and gaskets we use with our products keep contents from seeping into the water and ground. Precast concrete grease interceptors are the most efficient way to remove fats, oil and grease from the wastewater coming from your establishment. Contact us for more information about our products.